In Amsterdam, you only have a real advantage when you're travelling by bike. All the others are second-class citizens. Still, exploring this beautiful lively city and its surroundings with a rental car is a very special experience. With almost one million inhabitants, on an area of 220 square kilometers, this unique city among the major European cities can be explored by car, although a large part of the city is water. What is the best way to find a car hire company in Amsterdam? 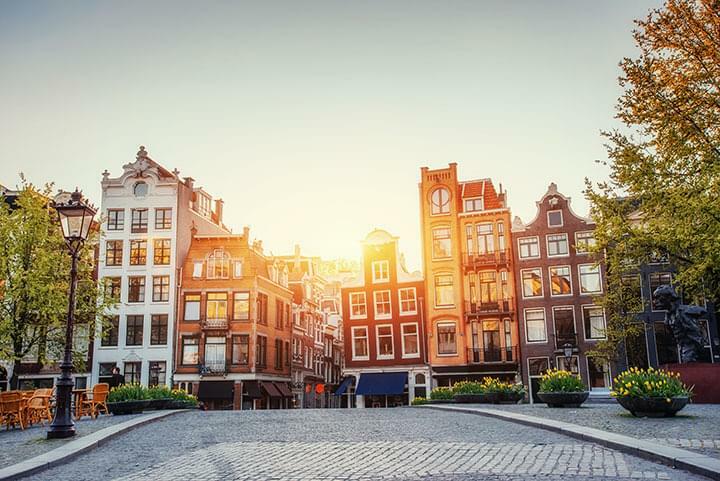 Amsterdam is a true European metropolis, so you will have no difficulty finding a car rental company as they are spread out all over the city. But of course it is always good to know your options in advance. The best way to find out is to compare prices on driveboo.com and book your car rental online before you arrive. Those arriving at Schiphol Airport (AMS) by plane can rent a car directly at the airport. In the end, this is one of the places where most car rental companies are located, or at least have a branch. The large number of landlords makes it possible for customers to be spoilt for choice, as the prices adapt to demand and supply. At airports the supply of rental cars is usually higher than its demand. Use this opportunity to get yourself a good deal in advance. Car rental Amsterdam: Is there a toll in the Netherlands? At present, the Netherlands is still one of the few toll-free countries in Europe. There is no charge for the use of highways and motorways. However, there are fees for the Willem-Alexander bridge and some tunnels. The vignette is a road tax which is recognized by all Euro-vignette countries, including the Netherlands. There is no need for the Euro-vignette when you travel with a passenger car. In the Netherlands, cars can be used without road tax. Trucks with a gross vehicle weight of 12 tons or more must carry a Euro-vignette. For wrong parking you can get into a lot of unnecessary trouble in Amsterdam, which can cost not only time but also a lot of money. To release a vehicle that has been towed, you must pay 373 €. What are the speed limits in the Netherlands? Do I have to buy insurance for the rental car in Amsterdam? When renting a car, it doesn't matter in which country you rent your car. For your own protection, you should always opt for "comprehensive insurance without excess." You should also pay attention to a high liability coverage. The liability should cover at least one million euros in damages, or even 7.5 million euros. Is the car rental company in Amsterdam expecting a deposit? Basically, every car rental company expects a deposit, no matter which country you are in. In the Netherlands, car rental companies usually charge a credit card. The deposit is not available on your account until you have returned the rental car. You can include an additional driver in the contract at any time. You will have to pay an additional insurance fee and any other additional costs. Amsterdam is worth a visit all year round. Surely the city is not exactly a pure joy in December and January, because it rains and storms and is also quite cold. But that is what it looks like in the whole of northern and northwestern Europe during these months. Bring an umbrella and visit anyway. 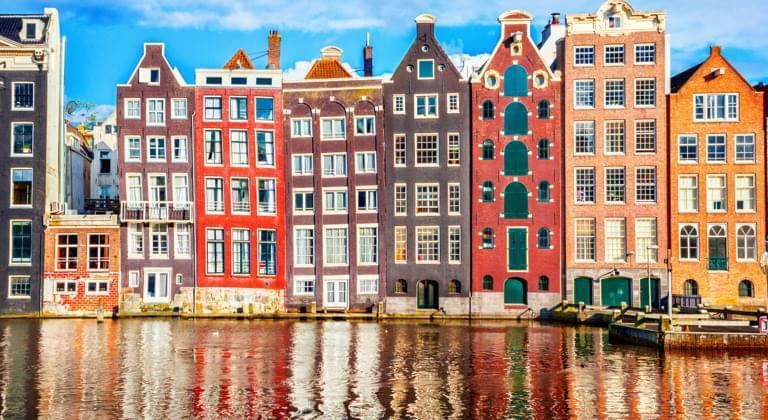 In summer, of course, there is no question that Amsterdam enchants every tourist. Experience the unique Amsterdam by renting a car! It doesn't take courage, but good nerves to drive the car downtown. However, they are rewarded by the fact that you will be able to see many of the beautiful canals in a relatively fast way. And that you can even do this when the weather is bad. Your alternative is a bike tour, which also takes you over the canals very quick, but it is definitely not much fun when the weather is bad. Don't just stay in town - explore the surroundings! In these beautiful but winding streets of the city it is nice, but not easy to drive around with your rental car. The traffic management, many one-way streets, the small alleys and streets, and above all the lack of parking space when you want to get out for a walk and have a closer look at the city center, don’t make it a pleasure to visit the city center by car. But if you are travelling by rental car, you can also explore the beautiful surroundings of Amsterdam. Drive along one of the largest canals, called Prinzengracht, out of town and enjoy the view. The canals will lead your way for a long time, you can follow them for miles and whenever you feel like it settle down for a cup of coffee and a Dutch treat in a café on a houseboat. Amsterdam is worth a visit. Tourists said this hundreds of years ago, and it has remained so to this day. Perhaps even more so today than 100 years ago, because the city is constantly evolving and is justifiably one of Europe's most popular metropolises and one of the world's most popular holiday destinations.